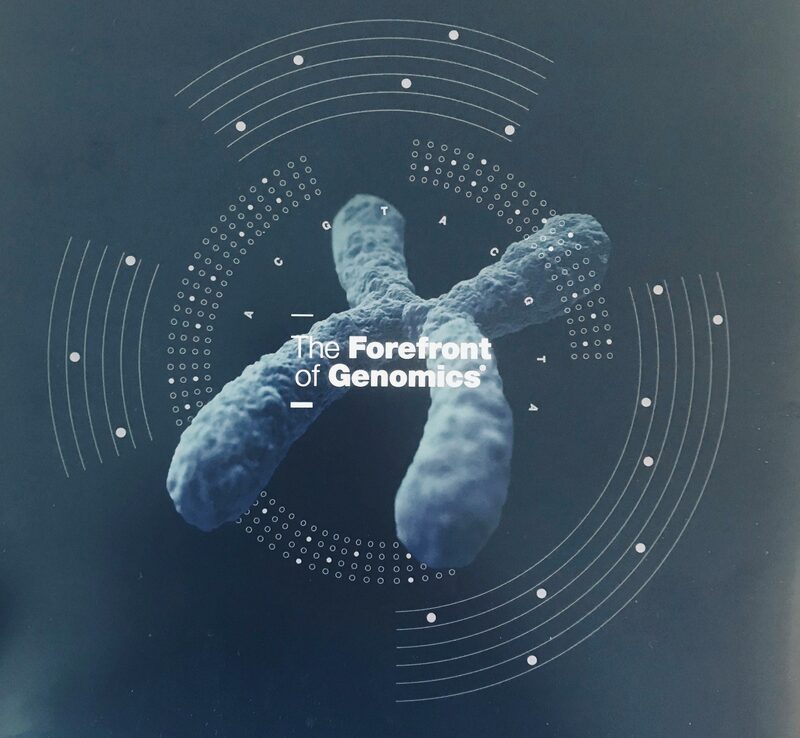 “The Human Genome Project (HGP) was just the beginning.” So proclaims a slick new brochure from the National Human Genome Research Institute (NHGRI), which neatly sets up a big question for the Institute: what does it do for an encore? On the 15th anniversary of the completion of the Human Genome Project (HGP), NHGRI leaders and advisors have embarked on a thorough, community-driven program to collect ideas for the Institute’s next strategic plan. According to NHGRI director Eric Green, that plan will be formally presented in October 2020—not coincidentally the 30th anniversary of the launch of the HGP. At the American Society of Human Genetics annual conference, which took place last week in San Diego, NHGRI staffers led by Green and Elaine Ostrander convened a town hall forum to seek input from genomics researchers of all stripes—academic, clinical, and industry—as part of its strategic planning process. This process, which kicked off in February 2018, will culminate with the release of the NHGRI’s “2020 Vision” report. The world of genomics research has changed dramatically since the end of the HGP. “We’re trying to think critically about what our role is in this ecosystem,” Green said opening the town hall. At the dawn of the HGP, the NHGRI was funding virtually all human genomics research. At the conclusion, NHGRI was still supporting an estimated 70–90% of national human genomics research. Two years may seem like a long time to gather information, but Green said his Institute knows how to conduct a strategic plan. Three previous plans chartered the course for the HGP (1991-95, 1993-98, and 1998-2003). Two subsequent statements were published spanning 2003-10 and 2011-present. Green’s plan is to publish in October 2020, which means holding a “finale meeting” around April 2020 before submitting the report to a journal around July 2020. A key question remains whether the Strategic Plan will focus more narrowly on NHGRI’s funding priorities or whether it should chart a broader vision for the genomics community. In the meantime, Green laid out some early thinking where NHGRI has already outlined areas of emphasis and, interestingly, areas where it will be scaling back support. A good analogy, Green said, was to think of NHGRI leading a fleet of boats. In many areas, NHGRI will continue to maintain its established leadership role, including technology development, genome function, epigenomics, genetic-environment interactions, genomic medicine, workforce development, policy development, and ethical/legal issues. In other areas, NHGRI will be heavily involved but in partnership with other funding bodies—examples include rare and common diseases, and computational genomics. “We have to be involved, but we won’t be involved by ourselves, we’ll be partnering with others,” Green said. During the town hall, Ostrander said NHGRI had already identified some key priorities in the basic genomics and technology category, including: developing approaches for routine end-to-end sequencing of the human genome; incorporating multi-omic data into research projects; and advancing the use of model organisms for validating genomics. But she highlighted a series of questions she called “What we’re wondering?” These included how to predict the phenotypic consequences of genome variants; determining the most efficient way to slot genes into pathways; and what other areas of genomic technology are needed. Questions came immediately from two leading figures in human genomics—Richard Gibbs, director of the Baylor College of Medicine Genome Center, and David Bentley, vp and chief scientist at Illumina. Gibbs asked whether the study of the high-level nuclear organization would be considered under epigenomics, suggesting it was time to step back from focusing on the primary DNA sequence. Bentley said there was still a major need to classify and understand DNA variants. Databases such as ClinVar are very useful, but more work was needed to support continued advances in genomic medicine. Two PacBio executives, chief science officer Jonas Korlach and co-founder Stephen Turner, also offered suggestions including the importance of transcriptomics or RNA sequencing. Under the genomics of disease category, Ostrander said future goals included improving the understanding of gene-environment interactions, connecting structural variants to disease, and incorporating phenotypic data into genomic studies. Unresolved questions include: what steps are needed to create ancestrally diverse datasets? What factors influence genotype-phenotype relationships? And what non-genomic datatypes are important for understanding the connection between variants and disease risk? Those questions, and many more, will be debated at future meetings and town halls over the next 18 months. Interested parties can contribute ideas and suggestions via email: more details at genome.gov/genomics2020.